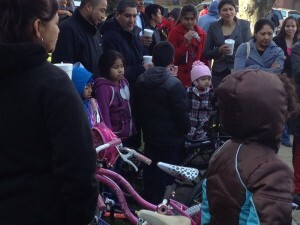 VéloCity Kids Bike Drive Success! 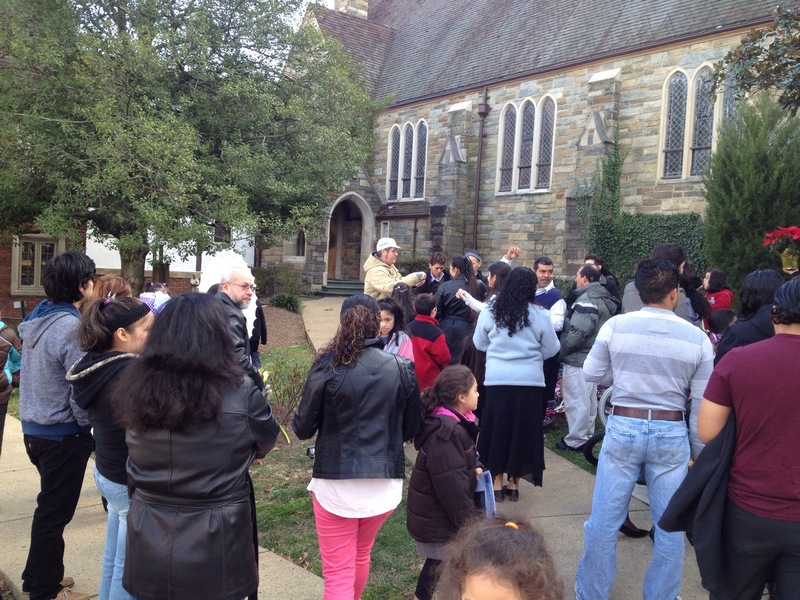 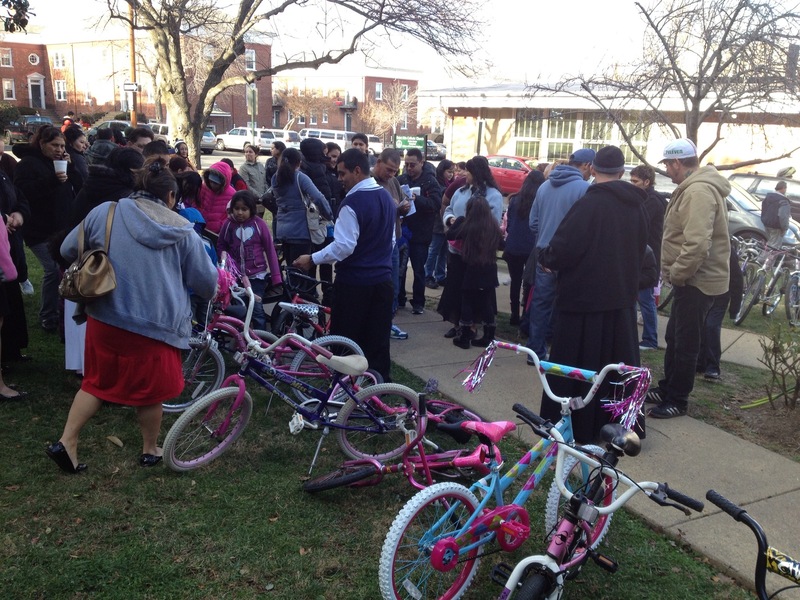 As a happy ending to the Kids Bike Drive, VéloCity Bicycle Co-op distributed refurbished bicycles to over 20 happy children from St Rita Catholic Church in Alexandria on Sunday. The bikes were donated by the community and were refurbished by the Co-op for re-cycling to children in need of bicycles from St Rita’s Parish in Chirilagua. 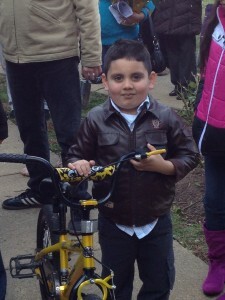 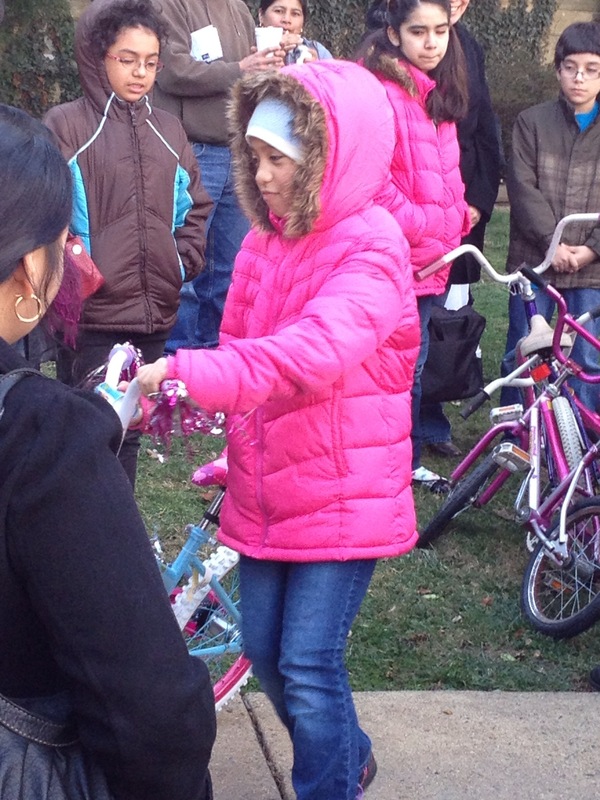 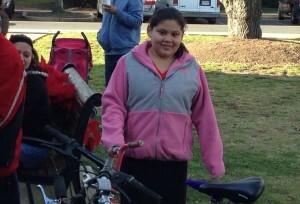 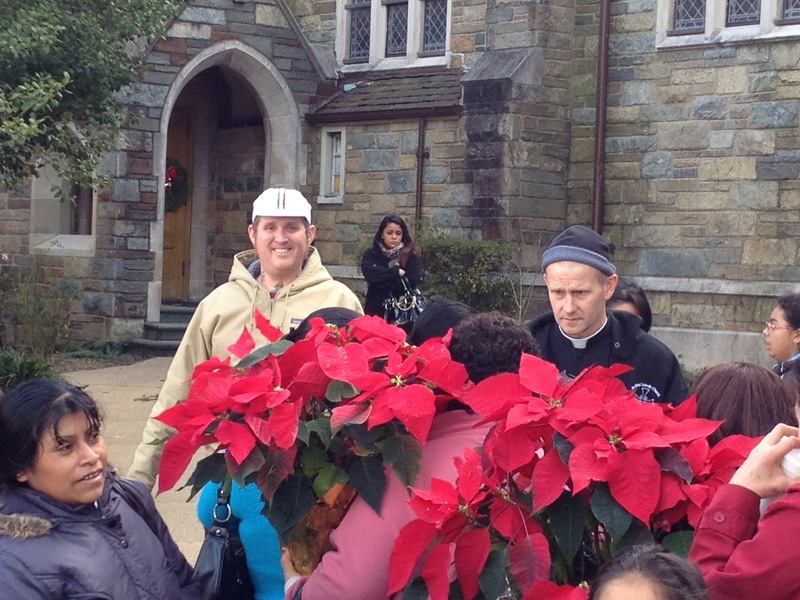 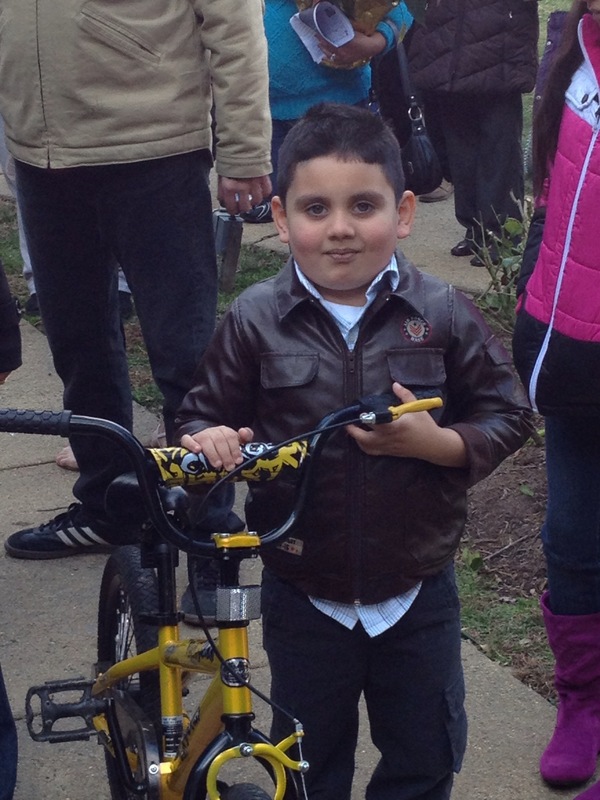 Many thanks to all who donated bicycles, parts, funds, and time to the Bike Drive and to the Holiday Bash. Thanks to Father Gee and St Rita, and a special thanks to the Pedal for Presents event that contributed over $600 to provide parts to refurbish the bikes! 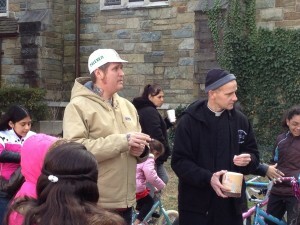 Thank you and happy riding to the new cyclists!